Well a funny tweet started today’s blog….I have spent the morning in the Garden….and it has nothing to do with horticulture…. 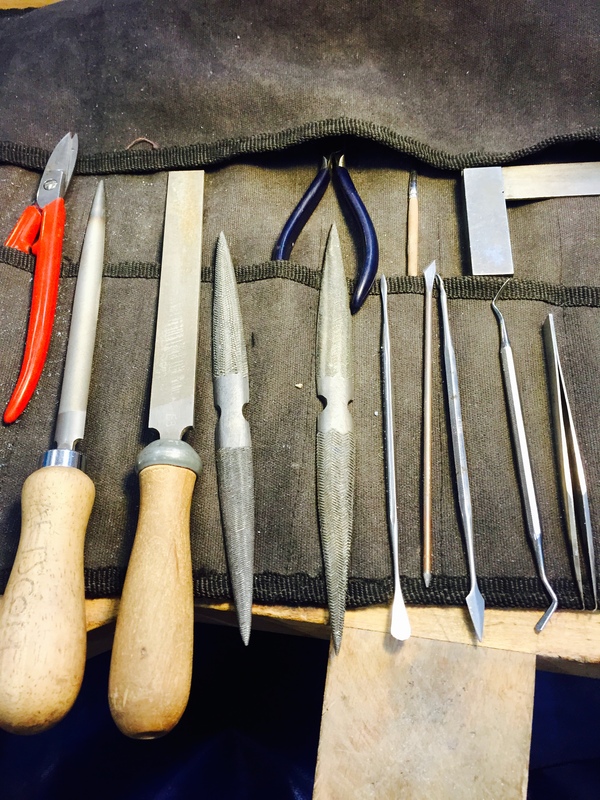 Working as a bespoke jeweller is never dull…every request is so incredibly different and personal. 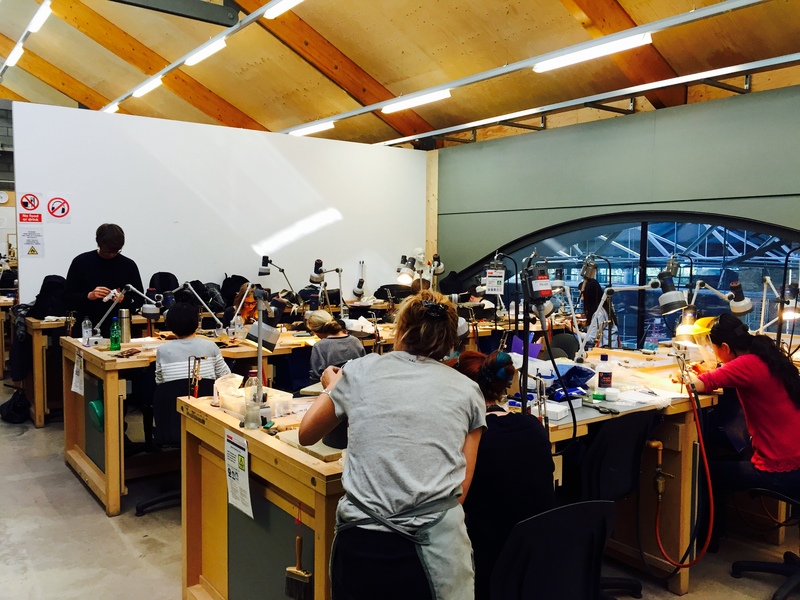 I learn from every project and enjoy educating my clients about the piece of jewellery that they are making…. 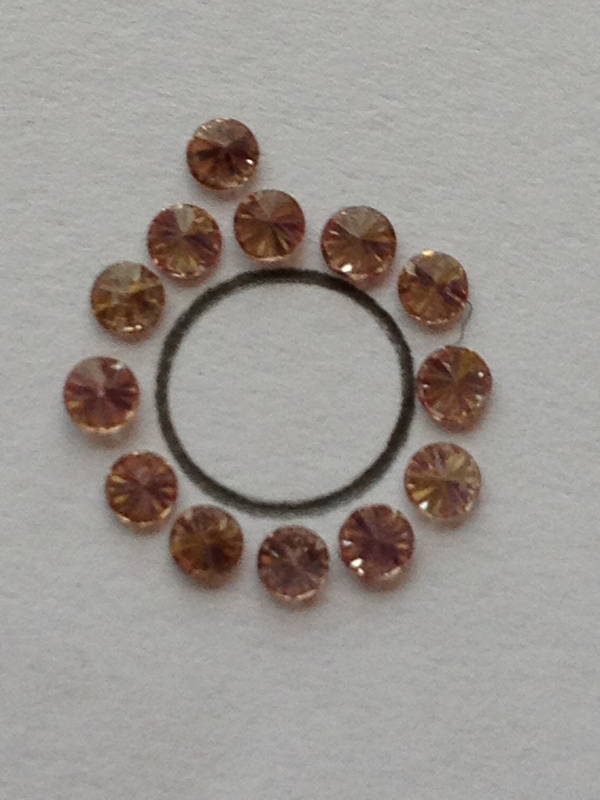 This week has involved selecting natural pink diamonds for a ring that I have been designing. 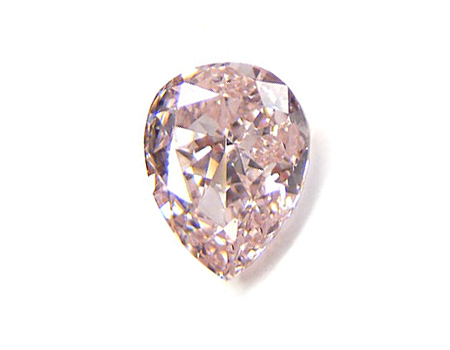 Natural pink diamonds can vary in intensity and it is important to colour match as closely as possible so that there is not a patchwork effect created for the finished piece. 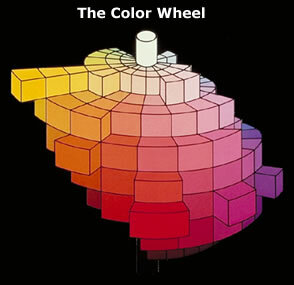 I can not imagine what it would be like to be colour blind…I almost feel like I have an over developed sense of colour…as I can be obsessed by matching and hate to see an uneven finish. A client brought me her engagement ring which had been purchased many years earlier and was not the whitest of solitaires. Her husband really wants her to wear the stone, however she would like a wider more impressive ring to be worn on her ring finger without a second band….so starting with a 6mm diamond….I start to draw and think…..I like the idea of arms hugging the diamond as it is such a sentimental stone and using soft pink diamonds makes her diamond look more white….these pictures are taken with my phone as I start to work and originally were not intended for the blog….The circle is the 6mm which is the size of the diamond and the 1.8mm diamonds are all laid out upside down….hence not that sparkly….As you can see it is not perfect as there are gaps….so the next stage is to select 1.9mm stones and 2 x 2mm to make sure there are no gaps…I will use 1.8mm down the band….possibly tapering down to 1.7mm. This client wants the ring to be generous with stones. If you wear rings with a large stones you will know that they drop from one side of your finger to the other….we will set stones about ¾ of the way around the shank so that you will always see diamonds when the ring moves. 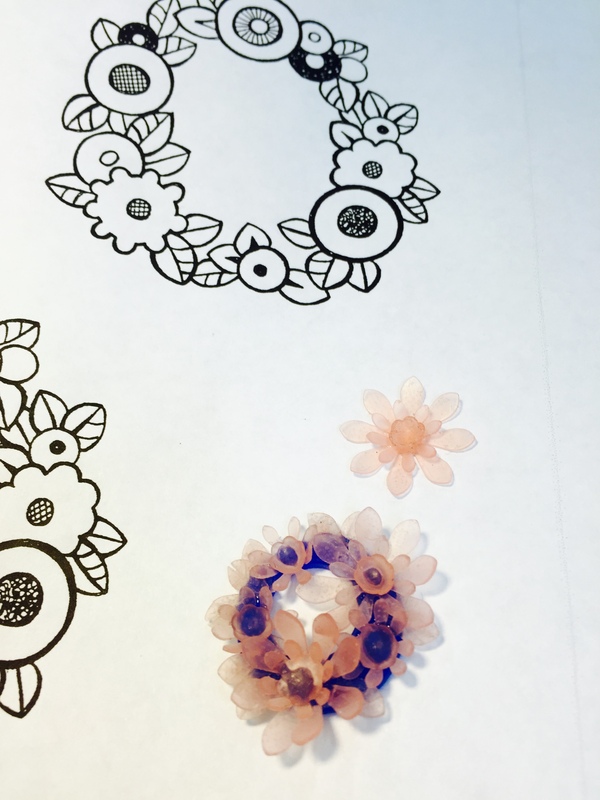 to make sure the stones are not dominated by white gold and lose their colour…the micro pave style should ensure this….now it is up to the maker….and I will post the finished picture in a few weeks! With an amazing increased interest in yellow diamonds and an absolutely unprecedented uplift in the cost of diamonds over the last two years…I have noticed that my clients have become really open to yellow sapphires…the colour suits many skin tones…brunettes, redheads….and on a practical note my clients feel they can wear a yellow stone everyday with different fashion seasons and colours of clothing…. Last year alone I made three French lemon sapphire rings…we use the description ‘French lemon’ in a way to refer to the softer more natural colour of the genre. 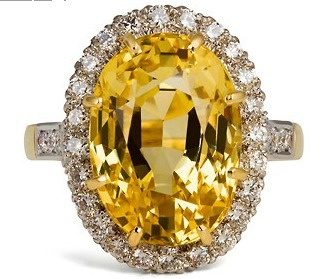 Many stones are prized when they are quite a strong intense yellow…really to be close to the colour of a vivid canary yellow diamond, however my clients and I, so far, all favour the softer, more natural colour. On my website and used as my avatar for Twitter is a gorgeous solitaire-cut, natural yellow sapphire (which came with a lab report to say there was no evidence of heating). There is also another 15ct stone with diamond surround, which is an amazing piece. 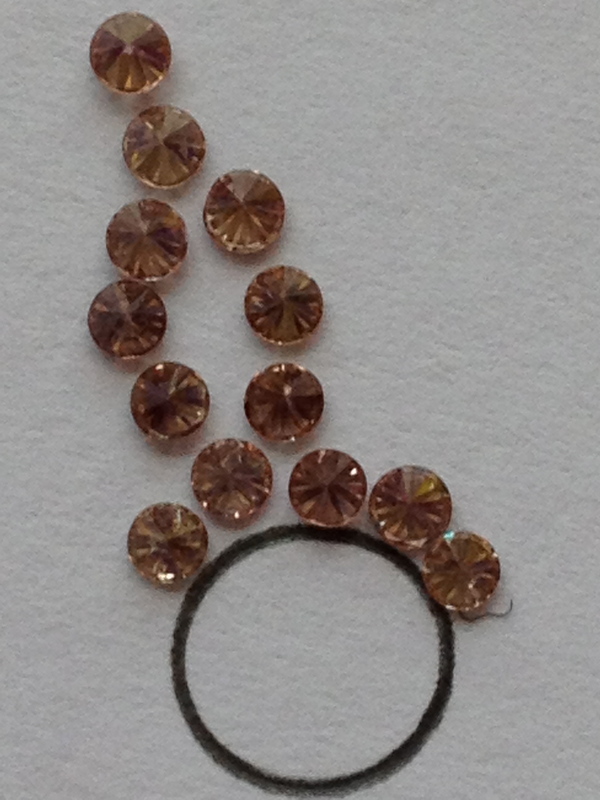 For the most recent ring, about to be photographed, we used a soft champagne coloured diamond to complement the colour. Using combinations of colours is my greatest pleasure as this is really the creative part of what I do. 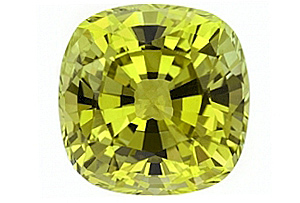 What is interesting about the yellow sapphire is that until the 19th century it was called an ‘oriental topaz’ and the green sapphire was known as ‘oriental peridot’. 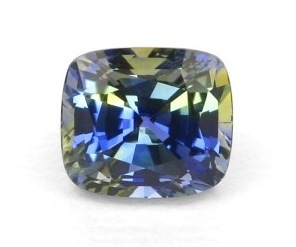 However, what is an incredible fact is that many sapphires that appear green actually consist of very fine alternating bands of blue and yellow sapphire, which can be visible under a microscope. The world of gems under a microscope is fascinating and I know is where I start to take on the white lab coated, beardy personality, however I would just love a few readers to become interested in what opportunity there is to learn from what became trapped or was alongside these natural stones when they were being formed millions/billions of years ago. 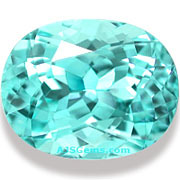 Finally, white sapphires….or the colourless variety….are relatively rare as it is corundum without any impurities (or metal oxides) such as iron and titanium for blue, vanadium for violet, small amount of iron for yellow and green, chromium for pink and iron and vanadium for orange. 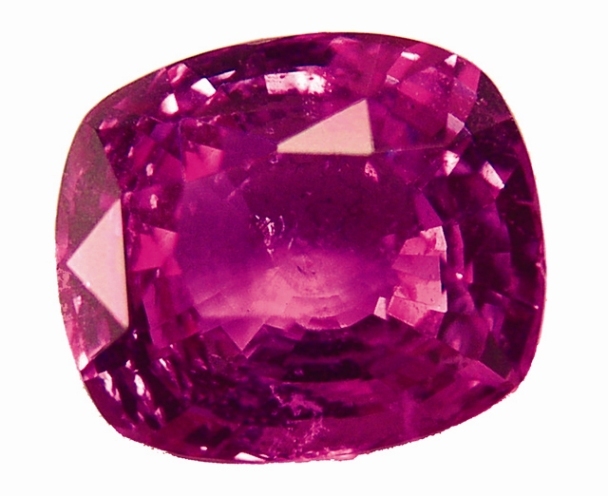 As sapphires are hard stones they have a good lustre…something I will explain in another blog…but are basically sparkly….they are often for their own beauty..or to simulate diamonds….in order to make jewellery at a more affordable price. 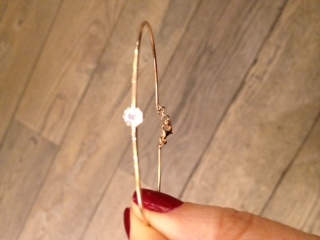 Jada Fine Jewelleryoften uses diamonds in the beautiful designs, however designer, Ceyda, recently showed me a bangle, which is being launched at Paris Vendome Luxury show, that has a single gorgeous white sapphire as its main gem…. 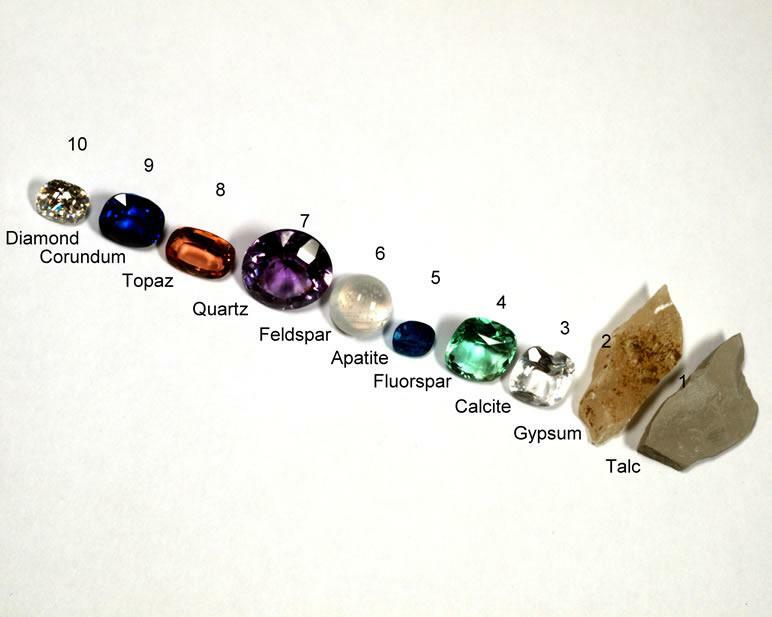 Often sapphires have different areas of different colour in the stone and the way the cutter chooses to orient the stone dictates the colour you see….. a tale for my next blog…. 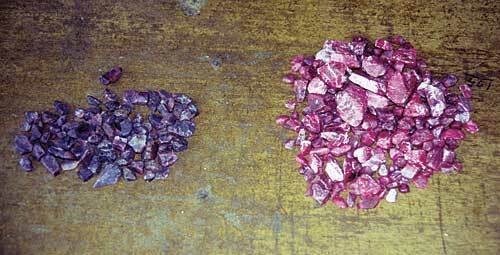 At the end of the last post I really felt unhappy that I had not shown you a picture of the padparadscha (this word is Sinhalese for ‘lotus flower’)….In the flesh it is truly the most original and exciting colour, but it lends to moving on to talk about the orange/yellow sapphires as a comparison quite well…It is also important as it is the only variety of corundum that is given its own name, rather than being referred to a sapphire of a certain colour….so here it is…. 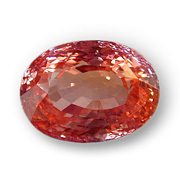 When blogging about coloured stones, I think I should mention how the colour affects the price and value of a stone, as you can see the padparadscha is quite a subtle colour compared with other orange stones, this is one of the ways in which it is unique. 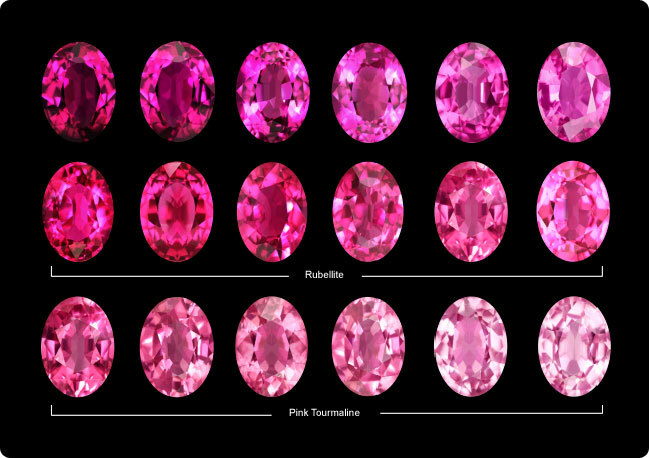 However, interestingly stones are often prized on being a strong or vivid colour…Most noticeably coloured diamonds are actually categorized with the word ‘vivid’ to explain the level of quality of the stone’s colour. 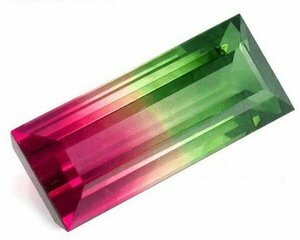 There are ways to improve or make more intense the colour of a gem. This occurs most commonly by heating the stone. 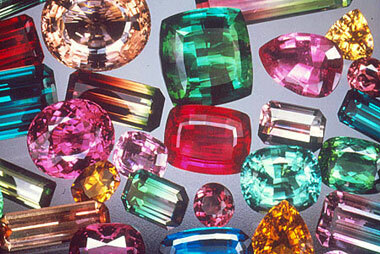 (Sapphires, for example, are heated at 1700-1800C). This is an extremely common practice in sapphires, rubies and emeralds…so common that it is not a requirement of the stone seller to say that this process has taken place. If asked the seller must disclose any treatment they know of, however they may be unsure and sometimes it is impossible to know. 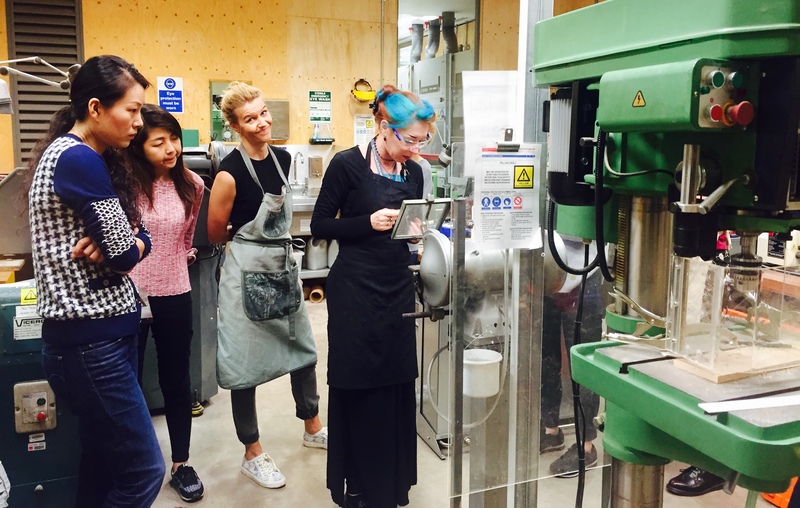 Very important stones are sent to gem lab’s, like the one which used to be at Gem-A in Hatton Garden, to have a report prepared to say if there is any evidence of heating. Any changes which occur during heating create a permanent change. 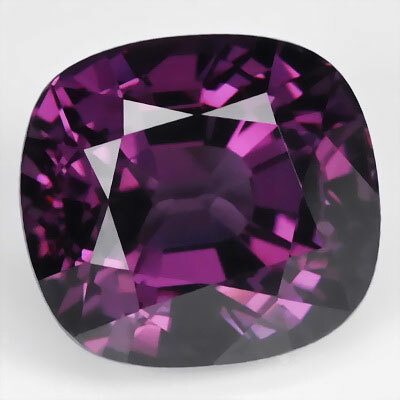 I have talked about my lilac sapphire before, which is quite a soft colour and one of the ways I know it is a natural colour is that there is a rod of rutile in the stone. This would have fractured into parts along the rod had the stone been heated. 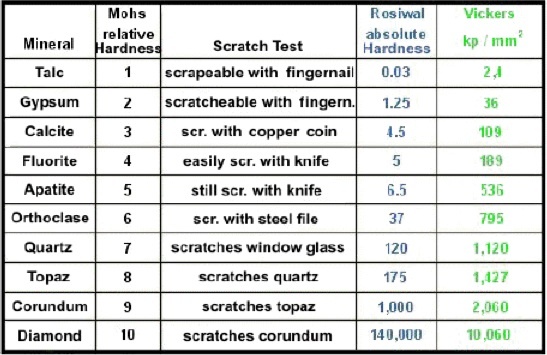 Lab’s look for this type of change in order to say if a stone has been treated, however many inclusions essentially disappear through heating and therefore do not leave any history. When inclusions become less obvious the stone has better clarity and often better colour and therefore the stone becomes more valuable, which is why it is such a common practice. I will talk about this from time to time as stones can change colour completely through heating….some of which you have probably owned or worn and never known that the stone originally started out completely differently. 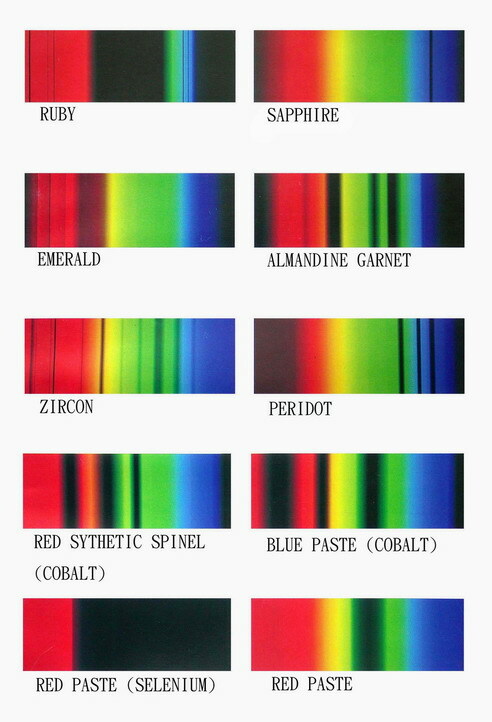 Fashion in jewellery can make heat treatment a very important process when particular colours become a trend in the industry. I will talk about this in more detail in the next post.